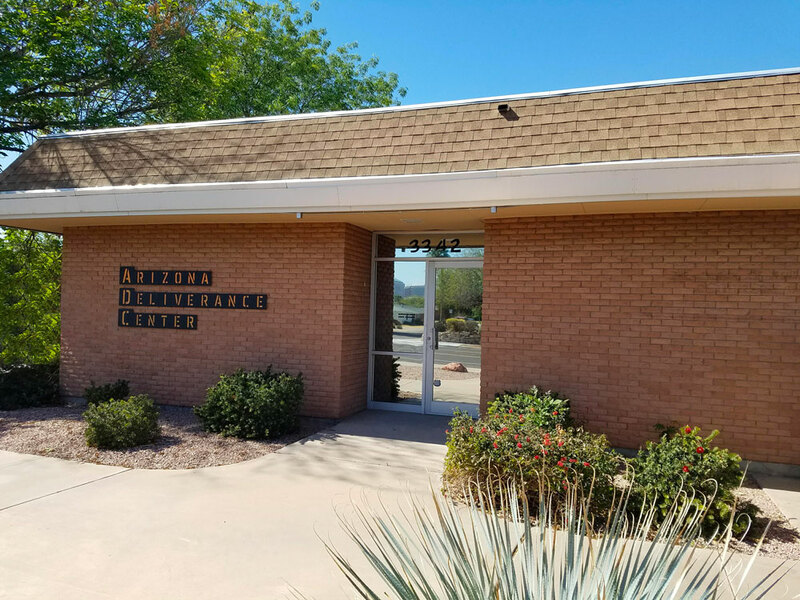 The Arizona Deliverance Center includes activities such as prayer meetings, worship services, teaching seminars, private Christian family, marriage & individual counseling with deliverance & healing services. Special cases are allowed temporary residence at the Healing House. The Arizona Deliverance Center is a tax deductible discipleship training center and does not operate as a traditional church however, is legally classified as one. We train Christians to become Disciples. The only focus of the ministry is the Word, counseling, deliverance, healing, spiritual warfare & the gifts of the Spirit. Each service focuses on the moving of the Spirit. The facility has on-site parking, security lighting, parking on Mulburry st. and parking at the Healing House just west of the main facility on Mulberry St.
Healing Room: Every Thursday night @ 7pm. Summers only. First Saturday in June, July & August 2018 @ 10AM-Noon. Pre-teens with parents or guardians only. We are conveniently located on 15 ave. south of Osborn road, SW of Encanto Middle School in central, downtown Phoenix, AZ.